Gain experience and learn techniques for diving in deep water. 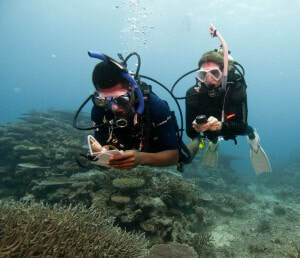 Deep Diving is considered any dive made between 18 meters/ 60 feet and 40 meters/ 130 feet. Students must be in good health and at least 15 years old. This course will teach you to monitor and to keep track of your air and your no decompression limit to stay with in safe standards. Deep Diving is one step closer to helping you with future specialties such as wreck diving. Cost is $250.00 per person. Diving in a Dry Suit seals you off from the water and keeps you comfortable, and can keep you warm in cold water. During this course, you will learn to put on and take off your dry suit with minimal assistance, you will practice buoyancy control using your dry suit, and learn dive safety procedures. Students must be in good health and at least 15 years old. Even if you’ve been scuba diving at a site many times before, at night you drop into a whole new world and watch it come to life under the glow of your dive light. It's amazing to see a scene that you think you know so well change as day creatures retire and nocturnal organisms emerge. In this course you will learn proper light handling and communication etiquette, how to enter, exit, and navigate in the dark, and note how certain plants and animals differ at night. ​Cost is $250.00 per person. A skilled Scuba diver understands the techniques to control their buoyancy so that they can glide effortlessly through the water and use less air during the dive. In this class you will learn techniques to determine the amount of weight you will need so you're not too light or too heavy, to trim your weight system and scuba gear so you are balanced and streamlined in the water, and how to hover in any position so as to not disturb the aquatic life surrounding you. ​Cost is $175 per person. ​Searching for a lost item can seem close to impossible, but there are effective ways to search for objects underwater that increase your chances of success. And there are good and better methods to bring up small, large or just awkward items. In this course you will learn swim search patterns using your compass and natural navigation, locate large and small items using these swim search patterns, how and when to use a lift bag for recovery. ​Use your navigation skills to come up close to the boat or entry location on a beach dive every time. 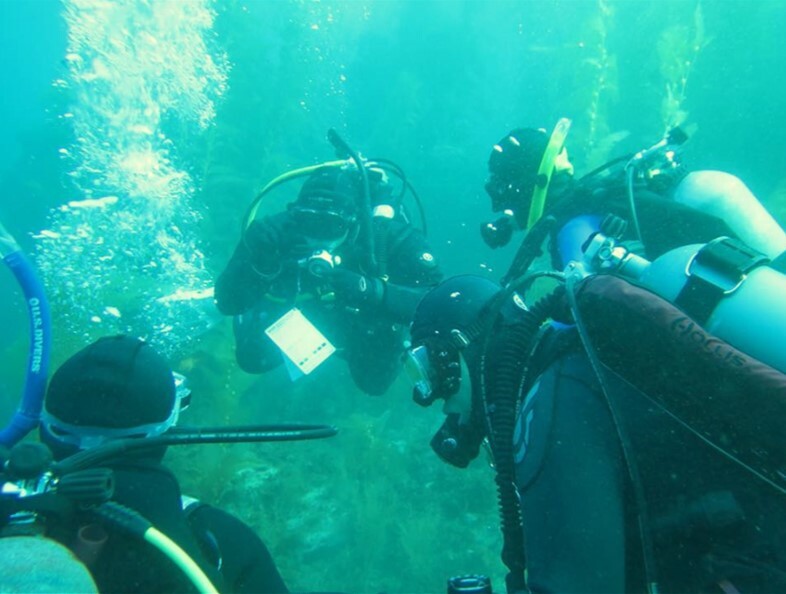 In the Underwater Navigator course you will learn to use natural clues and compass headings to find a location, methods to estimate distance underwater, and practice marking or relocating a submerged item or position from the surface. ​Cost is $195.00 per person. ​There is something fascinating about exploring objects that are not in their natural element. The Wreck Diver course will teach you safety considerations for navigating and exploring wrecks, using penetration lines and reels to guide exploration, and techniques to avoid kicking up silt or disturbing the wreck or its inhabitants. ​Cost is $295.00 per person.